This post is based on my Master’s thesis, now titled Gangstas, Thugs, Vikings, and Drivers: Cinematic Masculine Archetypes and the Demythologization of Violence in the Films of Nicolas Winding Refn, written for the Media and Cinema Studies program at DePaul University in Chicago, IL. This version represents an early draft of a journal article that my partner, Dr. CarrieLynn Reinhard and I are preparing in the hopes of publishing. As always, I welcome any and all feedback/suggestions, so feel free to comment below or email me directly. Thank you. In a video essay produced for RogerEbert.com, film critics Matt Zoller Seitz and Peter Labuza (2014) explain that with Pulp Fiction, director Quentin Tarantino establishes his characters as cool and larger-than-life by visually and textually enlarging their personae before they ever appear onscreen. Seitz and Labuza point to the characters of Marsellus Wallace, Mia Wallace, and Winston Wolfe as examples, explaining that Tarantino creates ideas of these characters long before they actually appear in the film. Other characters talk about Marsellus and Mia before they ever appear onscreen, and the film offers brief, tantalizing glimpses of both characters before finally revealing them in full. Seitz and Labuza argue that this serves to mythologize the characters in the minds of the audience, and that these characters attain the status of legendary figures as a result. Furthermore, he argues that other characters in the film actively construct larger-than-life personae by self-mythologizing, and they establish themselves as cool simply because they frequently refer to themselves as such. Matt Zoller Seitz and Peter Labuza contend that Pulp Fiction represents a demythologization of coolness. Seitz and Labuza further contend that Pulp Fiction deconstructs the act of personal mythmaking. These cool personae represent a trap, and the film frequently places the characters in situations specifically designed to test their personal mythologies. Some characters encounter and recognize the constraints or limitations of their own self-mythologies, which leads them to actively question their constructed nature and make a conscious choice to drop their cool front. For instance, Jules encounters something beyond his grasp when he survives the shootout with the man hiding in the bathroom of Brett’s apartment, and this causes him to question his own legend and ultimately make the choice to abandon his cool persona. Other characters refuse to relinquish their cool fronts, however, and as a result they experience damaging or even fatal consequences. Vincent, in particular, refuses to change following the shootout in Brett’s apartment, and he pays for this decision with his life later in the film, when Butch kills him (Seitz & Labuza, 2014). Dennis Bingham (1994) puts forth a similar argument regarding the rhetorical function of violence in the film Unforgiven, arguing that it serves to demythologize violent behavior and thus dissuade viewers from idolizing or emulating such behavior. Using the ideas of Seitz and Labuza and Bingham, this piece explores how Danish director Nicolas Winding Refn‘s film Valhalla Rising similarly demythologizes male violence and therefore functions as a critique of the masculine ideal put forth by many cinematic masculine archetypes. Valhalla Rising constructs and presents the central male figure as an archetypal figure rather than a fully-formed character, and thus he functions as a personification of the heroically violent masculine ideal associated with recurring male figures such as the Man With No Name and the samurai. At the same time, the male characters surrounding this protagonist all appear to negotiate their masculine identities in relation to the ideal he represents. Additionally, these surrounding characters often encounter situations that highlight the inconsistencies between their personal mythologies and their individual realities, and those who refuse to learn from these situations and abandon their violent, tough guy fronts encounter negative consequences. Thus, the depictions of male violence in Refn’s film serve to deconstruct the sort of archetypal tough guy figures that perpetuate the notion of violent masculinity as a heroic ideal. Furthermore, mythologizing his characters in this manner provides Refn with a way to critique the repeated use of cinematic masculine archetypes, because it allows him to explore the tensions that arise when the characters’ self-mythology clashes with outside forces. The samurai represents a popular recurring masculine figure, particularly within a cinematic context. This essay begins with a consideration of violent masculinity and briefly examines how the definition of masculinity, and how violence often functions as a component of masculinity, represents a social and cultural construct. The focus then narrows to the role media plays in linking violence to masculinity, and how this influence occurs on a global scale due to the international nature of contemporary cinema. This discussion of violent masculinity allows for a consideration of how media develop cinematic masculine archetypes that coalesce and normalize such depictions of masculinity, thereby defining masculinity as being characterized by stoicism, emotional and verbal reticence, individualism, and violence. The analysis of Valhalla Rising demonstrates that these characterizations and archetypes of masculinity have influenced the portrayal of men in the film, but a closer read reveals that Refn refers to these cinematic masculine archetypes more to critique than to condone their usage. Roger Horrocks (1994) contends that many societies have socialized men to violence and conditioned them to “carry out the violence of the whole culture” (p. 135). Similarly, Elisabeth Badinter (1992) identifies four imperatives of masculinity, which she links to violence in one form or another. According to Badinter, society dictates that men must be competitive, emotionally rigid, physically strong and tough, and willing to take risks and engage in acts of violence. Western societies in particular often associate the dominant masculine ideal with traditionally manly qualities such as violence and aggression. This particular construction of masculinity appears to recur on a global scale, however, as violence and men’s relationship to/with it frequently functions as an important factor in the construction of masculine identities across cultures and throughout history (Connell, 2005). Indeed, studies have repeatedly shown that men, particularly young men, tend to comprise the majority of those who engage in violent acts (Novikova et. al., 2005). Society itself often positions violent masculinity as a cultural norm, and mass culture artifacts such as films, television programs, and video games repeatedly reinforce and perpetuate this notion, especially among boys and young men (Jhally, Earp & Katz, 1999). Indeed, popular cinematic representations of men frequently link masculinity directly to concepts such as machismo or toughness (Pecora, 1992). Scholars such as Jackson Katz argue that violent media exists within a larger sociocultural context that normalizes male violence. Hollywood films commonly present violent masculinity as entertaining spectacle, and films such as Commando, Die Hard, and Rambo III present masculine violence as entertainment designed to thrill and excite audiences without considering the negative consequences of the violence (Jeffords, 1994; Neale, 1993). Such films position violent masculinity as a heroic ideal, providing inspiration and aspiration for men (Sparks, 1996). It must be noted, however, that Hollywood is not alone in depicting violent masculinity as a spectacle or a heroic ideal. Global media tends to follow a Western model, and international film industries often emulate Hollywood content in order to produce films with a broad international appeal (Cowen, 2004). Indeed, as international box office becomes more important to the bottom line, films become more broad-spectrum and simplistic in order to appeal to audiences on a global scale. For instance, films marketed toward international, non-English speaking audiences tend to favor action over dialogue, slapstick over witty word play, and the presence of universally recognized celebrities over smaller, niche actors (Cowen, 2004). Similarly, the incorporation of and reliance on recurring tropes or archetypal figures rather than on nuanced depictions of characters represents one method by which films can become more generalizable and amenable to a global audience. According to Carl Jung (1959/1980), archetypes represent a set of universal, often recurring patterns and images that originate from a collective unconscious. They function as autonomous and hidden forms or potentials that become transformed when actualized by individuals and cultures, at which point they are rendered recognizable at a conscious level (Feist & Feist, 2001). In other words, archetypes exist in the collective unconscious and only become known in a conscious sense when constructed through representation. Because they inhabit the unconscious, archetypes can only be inferred through an examination of sociocultural activities such as behavior, images, art, myths, religions and dreams. Archetypes obtain specific context through historical, cultural, and personal representations known as archetypal images (Stevens, 2006). While the number of archetypes appears to be limitless, Jung argues that some archetypal images recur across cultures, appearing repeatedly in the myths and stories that those cultures create, particularly those stories relating to human behavior (Jacobi, 1959). Robert N. Bellah (1991), however, argues that archetypes do not reside in the collective unconscious. Instead, they exist within an individual’s unconscious as the result of the interaction between the individual and his or her social and physical environments during early childhood. Thus, rather than sharing archetypes with others in a culture, individuals may develop ideal images specific to his or her own lived experiences, which are then further refined when coming into contact with similar idealized figures. Bellah contends that archetypal images resemble one another across cultures due to similarities in the socialization process. In either case, archetypes represent a sociocultural ideal, a model for how to think and act reinforced and perpetuated through recurring patterns, forms and figures. These models of behavior are then passed down by the stories that people tell and the images they produce. Cinema and other mediated messages have the potential to produce their own models for ideal types of people or behavior, and thus their own archetypes. Mira Wiegmann (2004) argues that images appearing in media often function as a reflection of cultural values and attitudes, while simultaneously connecting “contemporary experience with primordial figures that express similar psychological and social content” (p. 399). For example, cinematic characters can be constructed to reflect sociocultural notions of gender stereotypes, particularly as represented within popular culture, in order to function as a form of cultural critique (Wiegmann, 2004). The “Hawksian woman” (Fig. 1) represents one example of this phenomenon (Robbins, 2014). Initially identified by Naomi Wise during her examination of the films of director Howard Hawks, this figure recurs throughout popular culture and functions as an ideal of transgressive womanhood that challenges and subverts notions of male spectatorship through expressions of androgynous eroticism (Robbins, 2014). While the specific characters that display or conform to the idiosyncratic traits of such idealized figures or roles may not recur throughout popular culture, the images and roles themselves often do, including across different historical and cultural contexts. This process has the effect of rendering such figures or roles as archetypal. Fig. 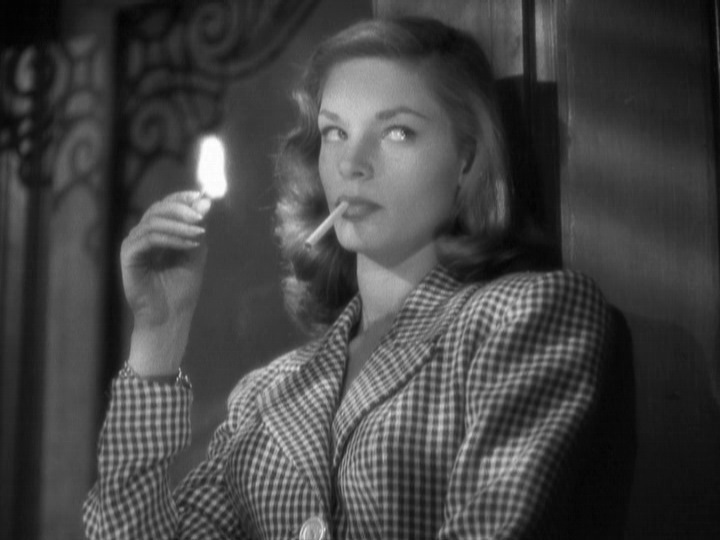 1: Lauren Bacall in To Have and Have Not (1944) represents perhaps the quintessential manifestation of the Hawksian woman. The same repetition and thus construction of archetypes can also be found in the creation of masculine figures. Steven Cohan (1997) contends that even though films frequently offer depictions of non-traditional or alternative masculinities, mainstream cinema in general and Hollywood films in particular tend to reflect and reinforce stereotypical notions of gender. He points to the sort of characters regularly played by Humphrey Bogart, John Wayne, and Sylvester Stallone as examples of this phenomenon and, indeed, characters such as Sam Spade, Tom Doniphon and John Rambo all perpetuate traditional notions of masculinity as emotionally reserved, ruggedly individualistic, and violent. Furthermore, Mark H. Moss (2011) observes that the dominance of American popular culture on an international scale has rendered masculine archetypes such the cowboy or the pioneer as universally appealing. These figures continue to resonate with modern audiences via contemporary versions that recur throughout popular culture and evoke the implied historical connotations of individualistic achievement and emotional fortitude (Moss, 2011). In other words, global audiences consume and internalize American constructions of masculinity through exposure to American popular culture such as Hollywood films, and this in turn informs how other cultures construct their own notions of masculinity. As patterns emerge in the way men are constructed in global cinema, these patterns become cinematic masculine archetypes, regardless of the culture in which the pattern appears. For example, the “over-the-top hard-boiled action man” (Fig. 2) represents a significant recurring archetypal figure in the decades following the 1980s (Beasley, 2009, p. 65). Initially perpetuated by Hollywood, the violently macho male action hero typified by characters like John McClane and John Rambo has managed to transcend its specific American cultural roots, and become a fixture of many international productions to the point that it now represents a nearly universal trope in global action cinema (Beasley, 2009). Examples of international macho action heroes include the unnamed gunman in Sukiyaki Western Django (Japan), Rama in The Raid: Redemption (Indonesia), Grégoire de Fronsac in Brotherhood of the Wolf (France), and Michael Kohlhaas in Age of Uprising: The Legend of Michael Kohlhaas (Germany/France). In other words, violent masculinity has become a defining feature of many of the archetypal male figures that recur throughout popular culture in a variety of cultural and historical contexts. Refn and many other filmmakers around the world draw upon these cinematic masculine archetypes in the construction of their own male characters. While films frequently present non-traditional versions of masculinity, cinema nevertheless reinforces a specific version of masculinity that emphasizes traits such as emotional and physical toughness. Writing about the films of the 1950s, Cohan (1997) explains that while men on film sometimes deviate from hegemonic models of masculinity, these depictions nevertheless occur in relation to the narrow and rigid idea that a man must be emotionally strong, physically tough, and economically successful. Similarly, contemporary films contain numerous examples of male characters that do not conform to more traditional ideas of manliness, yet these portrayals still exist within an overarching cultural narrative that emphasizes male violence and emotional rigidity. For example, many contemporary films offer depictions of “Omega Males,” who generally appear as perpetually adolescent, unemployed losers whose love lives are in shambles (Grose, 2010), such as Roger Greenberg in the film Greenberg, Alan in The Hangover, or Ben Stone in Knocked Up. Such films contrast the emotionally stunted man-child archetype against portrayals of successful men who conform to more traditional notions of masculinity, like Tony Stark in Iron Man, Irving Rosenfeld in American Hustle, or Aaron Cross in The Bourne Legacy. Overall, depictions of masculinity in cinema often exist as depictions of or in relation to a specific characterization positioned as a sociocultural ideal. Many of the cinematic masculine archetypes that recur throughout popular culture reflect this dominant ideal. This section introduces some common archetypal male figures, and demonstrates how they align with the dominant masculine ideal by emphasizing traits such as stoicism, individualism, and violence. The analysis will demonstrate that Valhalla Rising utilizes these idealized archetypes to represent the masculinity of the male characters. Stoicism and the archetypes. Whereas classical Stoicism emphasizes austerity, self-governance, and the ability to navigate notions of morality with relation to sociality, modern conceptualizations of stoicism tend to focus on qualities such as solitude, emotional rigidity, and physical endurance (Calhoun, 2014). Contemporary interpretations of stoicism also place emphasis on silence (Coen, Oliffe, Johnson & Kelly, 2013). Traditional notions of masculinity frequently align with this modern approach to stoicism, and popular culture reflects this idea through repeated depictions of muscular, emotionally reserved tough guy characters who let their actions speak louder than words. Peter Lehman (1993) argues that the strong, silent type commonly found in male action cinema functions as cinematic shorthand to convey the idea that the hero possesses an excess of power, and therefore does not need language. Iconic screen tough guys regularly project this type of quiet stoicism, from Charles Bronson in the Death Wish films to Steve McQueen in Bullitt to Jason Statham in The Transporter series. Additionally, Steve Neale (1992) contends that verbal reticence often accompanies emotional reticence, and the recurrence of male characters that exert careful control over both their language and emotions lends credence to this assertion. Indeed, popular culture tends to reinforce the idea that men must remain emotionally tough or aloof at all times (Jhally, Earp & Katz, 1999). Characters such as Sam Spade in The Maltese Falcon, Batman in the Batman comic book series, and Kratos in the God of War video game series all serve to perpetuate the myth of the emotionally impassive loner who rarely speaks but is quick to act. Tony Soprano (James Gandolfini) laments the disappearance of the strong, silent type that came to epitomize masculinity following the 1950s, particularly in the United States. Stoicism defines many of the figures that comprise cinematic masculine archetypes. 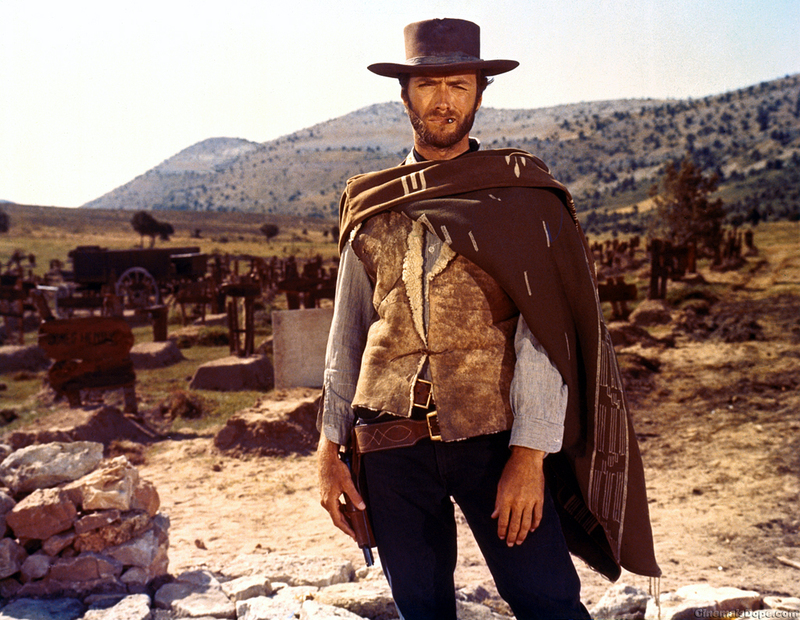 Many films depict the cowboy or gunslinger figure as an embodiment of stoic individualism (Smith, 2003). For instance, the solitary gunslinger or drifter characters portrayed by Clint Eastwood (Fig. 3) in the early part of his career conform to modern colloquial conceptualizations of stoicism (Calhoun, 2014). Indeed, characters such as Joe in A Fistful of Dollars, Blondie in The Good, the Bad, and the Ugly, or the unnamed stranger in High Plains Drifter all display a sense of emotional rigidity and steadfast resolve. The myth of the stoic cowboy also manifests in other genres, and informs depictions of action heroes, hard-boiled detectives, outlaw bank robbers, adventurers, soldiers, and more (Kaulingfreks, Lightfoot & Letiche, 2009). For instance, in the post-apocalyptic film The Road Warrior, “Mad” Max Rockatansky displays the same sort of unemotional determination that defines characters such as Llewelyn Moss in No Country for Old Men. Though not traditional cowboy or gunslinger figures, these characters nevertheless align with the stoic ideal represented by this recurring masculine archetype. Fig. 3: The so-called “Man With No Name” figure portrayed by Clint Eastwood represents the epitome of the stoic masculine ideal. The samurai also reflects the stoic masculine ideal, though Ted M. Preston (2003) argues that these figures tend to align with classical conceptions of stoicism rather than the modern colloquial understandings discussed above. According to Preston, the samurai code of bushido – a synthesis of Zen Buddhism, Shinto, and Confucian ethics – resembles the ideals of classical stoicism. Similarly, Gregory Barrett (1989) explains that samurai traditionally possess complete control over their emotions, and this allows them to conquer their fear of death and wade into violent battle against countless enemies. Cinematic samurai commonly reflect this historical ideal through repeated depictions as taciturn, emotionless warriors who remain unaffected as they endure great hardships. Notable examples include Kambei Shimada in Seven Samurai, Ogami Itto in the Lone Wolf & Cub film series, Miyamoto Musashi in the Samurai trilogy, and the titular protagonist of the long-running Zatoichi film series. These characters exemplify the tenets of classical stoicism, which place an emphasis on strict self-control and acknowledgement of the moral community. At the same time, however, they embody many of the ideals associated with modern conceptions of stoicism, particularly individualism and emotional resolve. For instance, in the Lone Wolf and Cub series, Ogami Ittō seeks revenge for the death of his wife, with no companion aside from his infant son. In the process, Ittō abandons his connections to communal society, and represses all emotions other than the need for revenge. Individualism and the archetypes. Stoic figures such as those in Japanese samurai films or the Spaghetti Westerns of Sergio Leone often appear as rugged loners who typify masculine values of individuality and self-reliance. According to R. W. Connell (2005), individualism often represents a central characteristic of contemporary masculine identities, particularly in capitalistic Western nations. Mass culture often reflects this notion of masculine individuality, and Tyler Cowen (2004) asserts that Hollywood films in particular perpetuate a myth of heroic individualism through repeated depictions of lone action heroes. American movie heroes regularly appear as rugged individualists who survive because they possess physical toughness and great personal skills, and this depiction has its roots in the gunslinger figure (Robinson, 2014). Indeed, the macho heroes portrayed by Arnold Schwarzenegger, Sylvester Stallone, and Bruce Willis often convey a notion of mythic heroism chiefly defined by individualism (Jeffords, 1994). Furthermore, as media becomes increasingly globalized, this egocentric individualism informs depictions of masculinity on an international scale (Connell, 2005). Characters such as Ting in the Thai kickboxing film Ong-bak, “Terry” Takuma Tsurugi in the Japanese martial arts film The Street Fighter, Oh Dae-su in the South Korean revenge thriller Oldboy and even the male characters in Refn’s Danish films like Bleeder and the Pusher trilogy all exhibit (or at least attempt to project) qualities that align them with the ruggedly individualistic masculine ideal established by Hollywood cinema. Similarly, cowboy or gunslinger figures such as those found in Shane and Django epitomize the idea of individual action. As a genre, Westerns frequently explore the tensions between the individual and society (Bordwell & Thompson, 2004). Furthermore, the persistent myth of the cowboy or gunslinger establishes him as “the epitome of individuality,” and this figure regularly disregards social conventions and shuns consensus (Kaulingfreks, Lightfoot & Letiche, 2009, p.152). Films regularly portray these characters as powerful individualists unable to exist within the confines of collective society, such as Wyatt Earp in Tombstone and Ethan Edwards in The Searchers (Fig. 4). Fig. 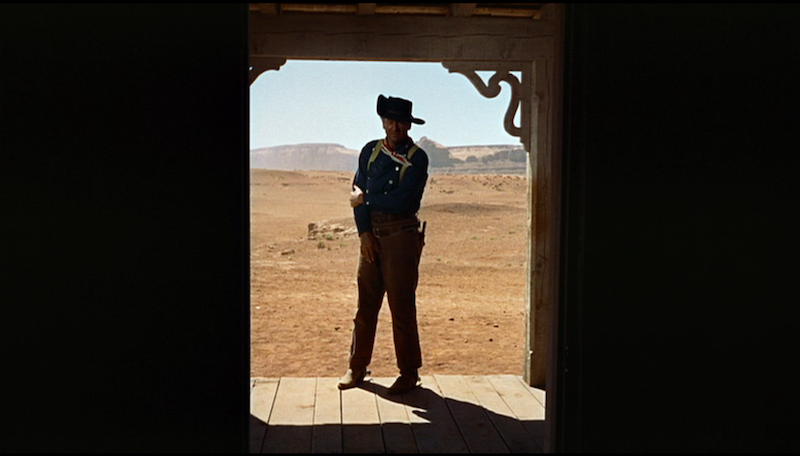 4: The iconic final shot of The Searchers reinforces Ethan Edwards’ (John Wayne) isolation from society. The Viking represents another recurring archetypal male figure frequently defined by the stereotypical masculine qualities of competition and individualism. Jóhanna Katrín Friðriksdóttir et al (2012) argue that clichéd depictions of Vikings as stoic, self-reliant warriors have overshadowed historical understandings of Viking society. For instance, Viking relationships in films tend to focus on notions of competition and grudging respect rather than friendship, cooperation and affection (Sklar, 2011), which aligns cinematic Vikings with other individualistic archetypal figures such the gunslinger. In addition to One Eye in Valhalla Rising, other depictions of individualistic Vikings include the title character of the popular French comic book and film series Asterix, Rolfe in the film The Long Ships, and, more recently, Ragnar Lothbrok in the television series Vikings. Much like the cowboy/gunslinger figures, the Vikings of popular culture frequently highlight the tensions that exist between masculine individuality and collective sociality. Violence and the archetypes. Violence frequently represents the trait most commonly associated with traditional conceptions of masculinity. Horrocks (1994) contends that many societies condition their men to act violently, particularly Western nations such as the United States, which tend to celebrate destructive activities such as war or violent sport as indicators of manly achievement. Similarly, Michael Kimmel (2001) asserts that violence often exists as the defining factor in sociocultural notions of masculine power. Cinema regularly reflects this assertion, as the stoic, tough guy characters in films like Blast of Silence or Once Upon a Time in the West often resort to violence when settling scores. Because muscularity often signifies masculine power and male aggression (Fig. 5), powerfully muscled male bodies often function as a visual representation of physical strength and power which allow men to exert power over others, often through violence (Drummond, 2011). Jackson Katz (2003) argues that these existing sociocultural power relations often position physical size and strength as indicators of masculine violence, and popular culture frequently reinforces this perception. Indeed, the screen action heroes embodied by the likes of Stallone, Vin Diesel, Channing Tatum, and Dwayne “The Rock” Johnson all use their the excessively muscled bodies to convey physical toughness and the threat of masculine violence. Fig. 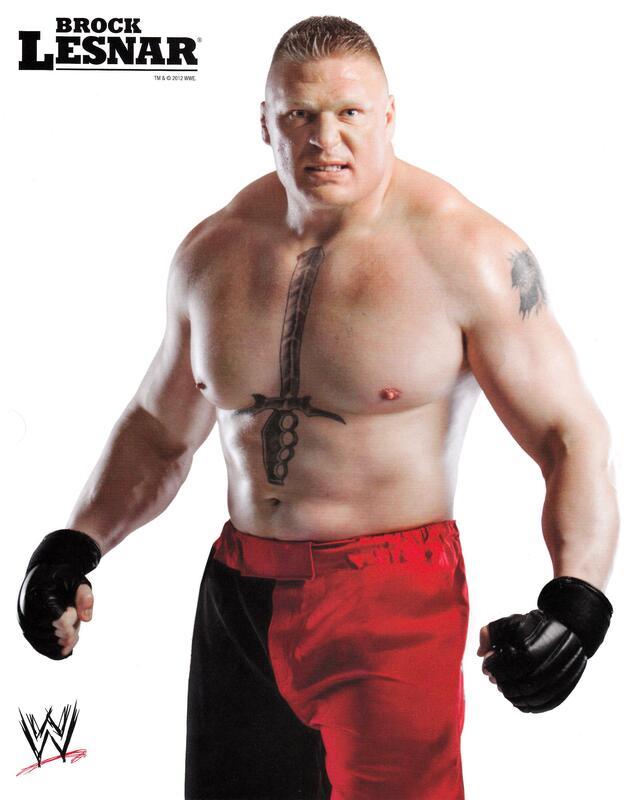 5: Extreme muscularity often functions as a physical signifier of violent behavior, such as in the case of WWE Superstar and former UFC champion Brock Lesnar. Nearly all of the recurring male figures discussed in this section associate themselves with violence. For instance, the cowboy or gunslinger figure has come to represent the American frontier myth, and they project an attitude of dangerous masculine strength and ability that signals their willingness to do battle with those who would challenge them (Kimmel, 1996). In many ways, the brutal Western landscape that these figures often inhabit reflects the violent attitudes of the characters themselves (Calhoun, 2014). Westerns regularly depict hard men who do not hesitate to use violence to settle disputes, such as those in films like The Great Silence, For a Few Dollars More, and Red River. The cowboy archetype can be seen reflected in other figures from around the world. The samurai figures typically become involved in violent showdowns in such movies as Harakiri or The Sword of Doom. The Viking, meanwhile, often appears as a blood-fueled berserker, quick to slaughter his enemies, as in films like The 13th Warrior or Outlander. The male characters in Valhalla Rising either personify or seek to project masculine identities that convey the same sort of stoic individualism and violent power associated with the recurring archetypal male figures described above. Indeed, the characters in each film personify or appropriate the stereotypical masculine qualities frequently associated with the recurring figures and archetypes in order to establish themselves as powerful men capable of emotional toughness, solitary self-reliance, and physical violence. The following section examines how the film textually conveys the idea that the male characters align with archetypal male figures such as the gunslinger and the samurai only to demythologize the construction of masculine identity on such cinematic masculine archetypes. Refn’s films regularly feature complex but altogether troubled men who navigate the tensions surrounding contemporary notions of violence and masculinity (Romney, 2010); thus the films represent useful case studies when examining how popular culture associates masculinity with violence. The male characters in each film rely on violence in the construction of their masculine identities, which draw upon archetypal male figures that represent a very narrow and rigid form of violent and aggressive masculinity. These figures recur onscreen in various iterations, appearing in everything from Westerns to crime thrillers to action blockbusters, and they frequently perpetuate the notion that violent male behavior represents a heroic or noble ideal. In this way, Refn’s films exist within a broader sociocultural narrative that frequently normalizes male violence. Refn’s own decidedly post-modern films tend to evoke the films and filmmakers that influenced him by referencing and appropriating specific characterizations, narratives, and themes from these texts, particularly in the construction of his male characters. Nearly all of Refn’s male characters reflect the idealized figures that frequently recur throughout popular culture, but Valhalla Rising represents perhaps the best example of this tendency. Presented as an existentialist Viking epic, the film follows the mute warrior One Eye (Mads Mikkelsen) as he struggles to survive in the harsh land of Scotland in the year 1000 A.D. after escaping from the Norse pagan chieftain Barde (Alexander Morton) who held him captive and forced him to fight other prisoners to the death. Nothing is known about One Eye’s past or identity, but his captors believe that he emerged from Hell itself and possesses supernatural strength. One Eye kills his captors and escapes along with the slave boy, Are (Maarten Stevenson). Almost immediately, they encounter a group of Christian Vikings on their way to Jerusalem to fight in the Crusades. One Eye and Are join them, and they all set out for the Holy Land. After spending several days lost in an ominous fog, One Eye and his companions land in a strange and unknown country where they come face to face with their own mortality. The trailer for Nicolas Winding Refn’s existentialist Viking epic, Valhalla Rising. The mythologization of One Eye. According to Refn (2009), the character of One Eye in Valhalla Rising represents a fusion of archetypal figures such as the gunslinger, the samurai and, most notably, the Viking. As discussed above, these figures have come to exemplify notions of stoic endurance and rugged individualism through repeated depictions across various media. Valhalla Rising visually establishes One Eye’s archetypal and mythological nature early on; following a title card that proclaims, “In the beginning, there was only man and nature,” the film opens on a wide shot of a lone individual slowly trudging across a vast, desolate landscape shrouded in fog. This opening image establishes that the film takes place in a harsh and lonely world that practically forces individuals to develop the type of tough self-reliance that will allow them to survive in such an unforgiving place. Much like the bleak landscapes of Leone’s Spaghetti Westerns convey the brutality of the gunslingers and outlaws that populate those films, the landscape of Valhalla Rising reflects One Eye’s quietly menacing stoicism and individuality. The completely mute One Eye represents the ultimate embodiment of the strong, silent type. He exists as a supernaturally powerful and defiantly individualistic warrior with no past and no identity who conveys meaning almost entirely through his violent actions. Unable to speak, One Eye repeatedly demonstrates that he has no need of language because he possesses an extreme excess of physical power. For instance, early in the film One Eye handily defeats other captive warriors, dispatching them in an increasingly brutal fashion, such as when he crushes another man’s skull by bashing it repeatedly with a large rock. 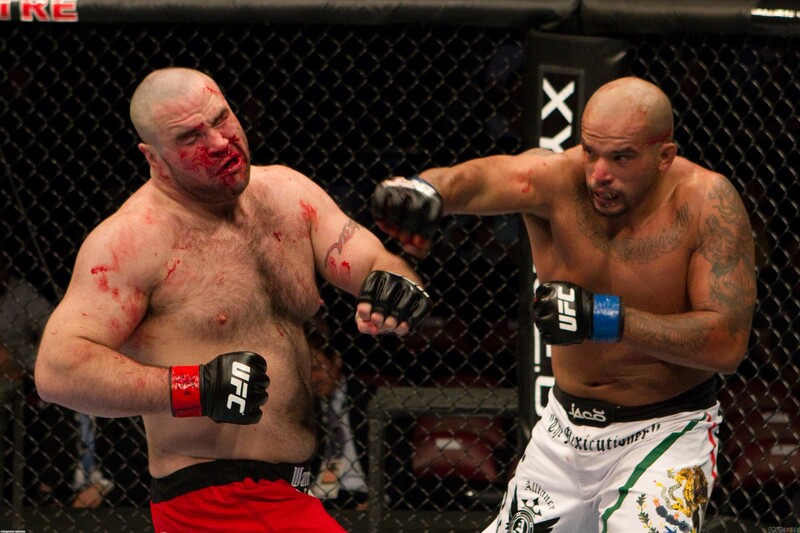 One Eye never exhibits any sort of emotion during these battles, as he casually breaks a man’s neck and then tears another man’s throat out with his teeth. Instead, the character’s face remains impassive at all times, even when he escapes the men who have held him captive for five years by violently and methodically killing them (Fig. 6). When he calmly slices open the belly of one of his tormentors and pulls out the man’s entrails, One Eye displays no sense of triumph, satisfaction, or even regret over his actions. Rather, he remains completely emotionless and unaffected at all times. This steely resolve indicates that the character possesses the sort of emotional rigidity often associated with contemporary notions of stoicism, and thus the film aligns him within the stoic masculine ideal represented by the cinematic archetypes. One Eye cannot verbally acknowledge or assert his own masculine power, and therefore he cannot self-mythologize in the same way as Tarantino’s characters. Therefore, Valhalla Rising has the other characters establish his mythological masculine persona for him, particularly the slave boy Are, who often speaks for One Eye. For instance, after escaping from their captors, One Eye and Are encounter a group of Christian Vikings on their way to Jerusalem to join the Crusades. The leader of the Christian Vikings draws his sword and advances on One Eye, but stops short when one of his men says that he has heard that One Eye has a reputation as “one of the biggest savages in Sutherland.” The man goes on to explain that One Eye killed a chieftain’s son, along with most of his men. Later, one of the Christian Vikings asks Are if he knows where One Eye came from. Are hesitates for a moment, and then says “He was brought up from hell.” These exchanges serve to establish One Eye’s reputation as a powerful and violent figure. More importantly, however, they function as a way of establishing One Eye as inhuman or more than human, and thus the film positions him as an archetypal figure rather than a fully-formed character. Overall, the protagonist of Valhalla Rising functions as a manifestation or personification of the archetypal figures that recur throughout popular culture and perpetuate and reinforce a specific version of masculinity. Valhalla Rising situates its lead male character as a metaphorical concept rather than an actual character. In a review written for the magazine Film Comment, critic Jonathan Romney (2010) refers to One Eye as the “mythical ur-thug of a distant age, before the Norse lineage devolved” (p. 29). In other words, rather than develop One Eye as a fully formed character, the film instead constructs and presents him as the personification of an archetypal masculine ideal primarily associated with physical violence, emotional toughness, and individualism. Furthermore, as will be discussed later in this section, the other male characters in the film repeatedly attempt to align their own personae with this ideal. As the film demonstrates, however, this performance often clashes with outside forces that challenge their constructed fronts, producing tensions between what they seek to convey and the reality of their circumstances. In many ways, Valhalla Rising functions as a metaphor for how violent entertainment impacts the way men construct their masculine identities. The images of masculine violence that often appear in popular culture frequently inform how men construct their own masculine personae as they seek to emulate what they see or experience (Moss, 2011). Valhalla Rising offers a variation on this phenomenon during its first act, in which One Eye has been captured and forced to fight for the amusement of his captors in sequences that recall the violent spectacle of mixed martial arts fights (such as UFC) or professional wrestling (such as WWE) matches, or the excessively violent fight scenes in action films like Rambo and The Expendables. The film situates One Eye’s captors in the position of the viewer or audience, and the film emphasizes this through the inclusion of shots in which the men watch as One Eye battles other captives to the death. By explicitly displaying One Eye’s violent masculinity in this manner, the film highlights the idea that popular entertainment frequently associates masculinity directly with violence (Fig. 7). Fig. 7: Popular entertainment often normalizes or celebrates male violence. Additionally, these sequences suggest that One Eye’s captors desire to take hold of his symbolic masculine power and co-opt it for themselves, which the film demonstrates by revealing how his captors have placed One Eye in a cage or on a leash. Metaphorically, this possession of One Eye reflects how a man might identify with and appropriate media images when constructing his own masculine identity. One Eye’s Viking captors possess him in order to gain glory and prestige from the masculine ideal he represents. The film conveys this desire by establishing that different Viking tribes will gamble on the battles and pass One Eye between them in a bid to establish their position within the masculine hierarchy of their society. Thus, they construct part of their masculine identities through their control of this representation of violent masculinity. In the film, other men seek to possess One Eye so that they may align themselves with the violent ideal he represents. To further this metaphor, the film constructs and presents One Eye as an archetypal figure primarily through his lack of identity. In his examination of the “no name” figures in Sergio Leone’s Spaghetti Westerns and Eastwood’s later domestic Westerns, Bingham (1994) asserts that the absence of an identity frees this figure from direct connection with any historical or societal context. Furthermore, Bingham contends that the “no name” figure recurs throughout popular culture, and this recurrence, particularly within a cinematic context, has rendered him an archetypal figure completely detached from the designation of “character.” Indeed, iterations of the “no name” figure appear in films such as A Fistful of Dollars, High Plains Drifter, The Road Warrior, They Live, and even Refn’s own Drive. Valhalla Rising establishes One Eye as another manifestation of this “no name” figure by highlighting his lack of identity; he possesses neither a name nor identity of his own. Furthermore, none of the characters in the film appear to have any conclusive knowledge regarding One Eye’s origin, indicating that he does not have a history and thus detaching him from any sort of historical or societal context. In addition to a lack of identity, the film also highlights One Eye’s lack of agency in order to establish him as an archetypal figure rather than a fully-developed character. Writing about Refn’s male protagonists, film critic Landon Palmer (2011) asserts that One Eye displays little sense of agency throughout the film, beyond ensuring his own survival through acts of violence. Palmer’s interpretation echoes Bingham’s (1994) assertion that the “No Name” figure’s entire existence concerns nothing beyond his own Darwinian survival needs, thus positioning him as a manifestation of the ego whose actions center primarily on notions of self-glorification and furthering his own existence. In Valhalla Rising, One Eye’s only real agency manifests in acts of extreme violence meant to ensure his own survival, such as when he kills his captors during his escape. Following this act, one of the Viking chieftains explains that hate motivates One Eye survive, which represents the only explanation the film offers for One Eye’s actions. Otherwise, he remains a largely passive character, allowing others to dictate his actions, such as when he joins the Christian Vikings on their crusade simply because they ask him to, or later when he drinks the hallucinogenic because they offer it to him. Thus, rather than a fully developed character, the film positions One Eye as an embodiment of the violence, cunning, and emotional toughness necessary to survive in the harsh and violent world of Valhalla Rising. Therefore, he comes to function as a manifestation of the dominant masculine ideal that defines this world, existing within the narrative as an archetypal figure that other male characters seek to emulate for their own survival and their own glorification of self. According to Jack S. Kahn (2009), dominant masculinity represents a societal ideal that often dictates male behavior. In the excessively brutal world of Valhalla Rising, being male consists primarily of violence, and One Eye reflects this through his violent nature. The other male characters in the film, primarily the Christian Vikings, seek to align their personae with the dominant ideal that One Eye represents in order to ensure their own survival in the world of the film. As the film repeatedly demonstrates, however, this desire ultimately results in tensions for these other characters, as they attempt to perform a masculinity that does not completely align with their true nature. This tension echoes Kahn’s (2009) assertion that dominant masculinity remains out of reach for most men, because they do not meet the prerequisite characteristics of this societal ideal. The demythologization of the Vikings. The Christian Vikings begin to experience tensions upon meeting One Eye, as the film conveys their desire to appropriate his powerful masculinity when they invite him to join their crusade only to have this appropriation derail their journey. The chieftain of the Christian Vikings in particular appears eager to have One Eye join them on their journey to Jerusalem because he considers One Eye a good fighter. This acknowledgement of One Eye’s defining ability as a warrior indicates that the chieftain recognizes his violent power, and inviting him into the group signifies a desire to align with that power. Indeed, the chieftain speaks of the glory and riches that await them in the Holy Land, and his enthusiastic desire to incorporate One Eye into the group seems to indicate that he believes that it will be easier to attain these rewards if he associates himself with One Eye’s powerful presence. At the same time, however, some of the Christian Vikings regard One Eye warily, and appear apprehensive about letting him join their group. Some of the men even seem to fear his power, such as the chieftain’s son, who retreats rather than fight One Eye during their initial confrontation. These sequences serve to establish that tensions exist among the Christian Vikings, who seem to desire One Eye’s presence and power, and yet fear it at the same time. Furthermore, a tension exists in One Eye’s competence compared to that of the Christian Vikings. While the Christian Vikings express a desire to be viewed as powerful and violent men, the film never shows them actually engaging in such violent performance. Instead, the film simply displays the aftermath of such violence, or conveys their desire to engage in violence, but only One Eye ever actually performs violence within the film. Valhalla Rising repeatedly positions One Eye as the symbolic man able to survive in this world; he knows when to drink the water after being adrift on the ocean for days, he knows how to handle the hallucinogenic the Vikings imbibe before going into battle, and he knows where to go to find the ocean at the end of the film. The Christian Vikings, meanwhile, represent both inability and incompetence, which the film conveys by showing them drink salt water, repeatedly losing their mental and emotional stoicism, and being unable to determine where to go when they find themselves lost in the strange new world. The Vikings follow One Eye down a path they believe will bring them riches and glory, but in following him and chasing after these things, they ultimately lose themselves. Metaphorically, their attempt to emulate the dominant masculine ideal resulted in tensions among the Christian Vikings group as they proved unable to align their true nature with One Eye’s example. Valhalla Rising highlights the notion that the community experiences damaging or destructive consequences when it encounters the powerful individualism of violent archetypal masculinity possessed by figures such as One Eye. The film conveys this through a series of shots that emphasize One Eye’s solitary nature, while simultaneously reinforcing the communal aspect of the Christian Vikings. After their first encounter with One Eye and Are, the film cuts to a shot of the Christian Vikings seated close together and facing the camera (Fig. 8). The framing of the shot serves to establish their close-knit group unity. The film then cuts to a shot of One Eye and Are seated apart from the group (Fig. 9). More importantly, while One Eye and Are sit near one another, the film nevertheless positions them at opposite ends of the frame with a noticeable gap between them. This series of shots emphasizes and reinforces One Eye’s construction and presentation as a solitary individual; while he may enter the community, he can never truly become a part of it. Fig. 8: In the context of Valhalla Rising, the Christian Vikings represent community. Fig. 9: In contrast, One Eye represents the rugged individual, his masculinity keeping him apart even from his allies. This sequence also establishes that the Christian Vikings express a desire to have One Eye join him on their quest to join the Crusades in Jerusalem, which indicates that they wish to align themselves with his archetypal masculine power. When the Christian Vikings allow One Eye into their group, however, their journey almost immediately becomes subject to a series negative consequences. During the sea voyage to Jerusalem, the Vikings’ ship enters a mysterious fog that causes them to lose their direction and become lost in unfamiliar territory. Later, as they make their way through the strange new land, their group unity begins to break down as the men succumb to increasing anxiety and uncertainty, which then leads to infighting and feelings of mistrust. By the end of the film, the Christian Vikings violently turn on one another, and this culminates in the chieftain stabbing the priest in the back. The Vikings’ journey through this unknown land represents the isolation, first from society and then from each other, that can result from attempting to align with the archetypal masculine ideal often perpetuated by popular culture. The ideal stresses individualism, and therefore represents a challenge to the community. Furthermore, the Christian Vikings experience death or loss of self, and this reflects the damaging and self-destructive nature of the violent masculinity sometimes associated with masculine archetypes. Given One Eye’s metaphorical positioning as an archetypal figure, the film subsequently functions as an allegory for how violent and individualistic masculinity ultimately represents a destructive element within society. The film presents and constructs One Eye as a personification of the “no name” figure that often recurs through violent male entertainment. According to David H. Calhoun (2014) this type of loner figure represents a threat to the idea of community, as his presence frequently breeds suspicion, and allows for temporary alliances or indifferent acquaintances rather than close communal relationships. One Eye functions as a personification of these figures, and he therefore represents this notion of temporary alliance and indifferent acquaintance. When the Christian Vikings incorporate One Eye into their group, they become subject to the isolating effects of his individualistic masculinity. Furthermore, this disunity serves as the catalyst for the Christian Vikings’ downfall, as their mistrust, infighting, and inability to work together ultimately leads to their deaths. Thus One Eye represents a threat to their communal relationship, which indicates that his type of archetypal masculinity not only damages individuals, but also represents a threat to society. The film establishes that the Christian Vikings’ insistence on pursuing their own personal mythologies leads to these negative consequences. For instance, the chieftain stubbornly maintains his masculine front until the moment of his death. Throughout the film, he expresses a desire to join the Crusades because he believes it will yield riches and glory. This reflects cultural ideas positioning war and violence as a way to establish masculine power. At the same time, however, the chieftain seems to acknowledge the futility and potentially harmful outcome of warfare when he tells One Eye that war “makes more tramps than heroes.” Through this exchange, the film specifically positions violence as damaging and harmful rather than heroic. Nevertheless, the chieftain insists on adhering to his own personal mythology, even after One Eye and the other Christian Vikings have abandoned him. By the end of the film, the chieftain proclaims that he will conquer this strange new land and establish a “new Jerusalem” that will yield money, women, and glory for those who stand by his side. Shortly after making this pronouncement, however, the chieftain dies, shot to death with arrows. The film presents him with an opportunity to leave this strange and hostile land when the other Vikings set out to return home, but the chieftain refuses. Instead, he chooses to maintain and advance his own personal mythology, and this, in turn, serves as the catalyst for his ultimate fate (Fig. 10). Fig. 10: The Viking Chieftain refuses to abandon his personal mythology, and this leads directly to his violent death shortly afterward. The film’s climax further emphasizes the destructive nature of the dominant masculine ideal perpetuated and reinforced by archetypal male figures frequently found in violent entertainment. The Christian Vikings spend the entire film attempting to align their masculine personae with One Eye’s idealized strength and power, but it ultimately proves overwhelming and unattainable. Furthermore, their insistence on conforming to this type of masculinity results in their deaths, abandonment, and loss of self. Soon after they land in the unknown territory, one of the characters declares, “He brought us here,” and this represents an acknowledgment that the Christian Vikings actively pursue One Eye’s masculinity throughout the film. Hagen makes this statement as the group experiences fear and uncertainty regarding their situation, which implies that some of the Vikings understand they made a mistake in following One Eye. Indeed, one of the Christian Vikings even reflects that he had a dream in which he could not find his way home, and then realized he was dead. This reflection represents an acknowledgement of the harmful and destructive consequences of violent masculinity. This realization culminates when the chieftain’s son, Gorm, decides to stop following One Eye. Are claims that One Eye knows that Gorm will die, but Gorm doesn’t believe him, and begins to question why he even followed One Eye in the first place. He then decides to abandon his pursuit of One Eye and rejoin his father. This questioning and conclusion represents Gorm’s acknowledgment that he cannot align with One Eye’s ideal, but this realization comes too late. By this time, Gorm’s father has been killed and his community has been destroyed, all because they sought to harness One Eye’s destructive power. The film’s metaphorical treatment of violent spectacle culminates in an ambiguous ending meant to demythologize violent archetypal figures and the role they often play in the construction of masculine identity. One Eye’s relationship with Are reflects the impact violent entertainment has on boys and young men as they strive to negotiate their masculinity. Are spends the film following and devoting himself to One Eye in order to ensure his own survival. This relationship reflects the way some boys and young men actively seek to emulate the powerful male figures frequently presented in popular entertainment as a way of establishing their own masculine power. Are, then, becomes a metaphor himself, a stand in for all boys and young men who wish to align themselves with prominent examples of physical and emotional toughness. The film’s ending, however, demonstrates that the desire to appropriate the ideal represented by these figures leaves boys and young men lost and facing an uncertain future. Following the film’s climax, One Eye and Are encounter what appears to be a war party of indigenous people; they are covered in war paint and carry weapons such as clubs and bows and arrows. In the only moment of nonviolent physical contact in the film, One Eye tenderly touches Are on the shoulder, as though to say good-bye to the boy. One Eye then allows the indigenous people to beat him to death, leaving Are alone to fend for himself in a strange new world filled with dangers he must learn to navigate or perish himself. By abandoning Are in this fashion, One Eye condemns him to an uncertain fate, and this echoes the way that violence can leave boys and young men facing uncertain futures. This ending suggests that an unwavering adherence to the violent masculine ideal often put forth by popular culture often leaves men lost and adrift. Thus, the film demythologizes violent masculine behavior by presenting it as unstable. With films such as Valhalla Rising, director Nicolas Winding Refn contextualizes violence so that it functions to demythologize the masculine ideal often perpetuated and reinforced by cinematic masculine archetypes such as the Viking, the gunslinger, or the samurai. Characters such as One Eye are mythologized to an extreme degree in order to demythologize or deconstruct the reliance on cinematic masculine archetypes in the construction of male identity on film. One Eye’s metaphorical positioning in relation to the other characters illustrates how violent behavior, emotional toughness, and stoic individualism often have a negative impact upon the individual and those around him. The negative consequences that result from the performance or personification of such behavior include dehumanization, incarceration and isolation, and finally injury and death. Furthermore, Valhalla Rising positions such outcomes as the inevitable and ignoble result of embodying or conforming to the sort of violent and aggressive masculine ideal perpetuated by common archetypal figures in order to critique the ideal they represent. As a result, Valhalla Rising serves to highlight the negative consequences that often result from insisting on performing or conforming to a violent tough guy front in order to illustrate how this version of masculinity harms both individuals and society. This textual analysis of Valhalla Rising demonstrates that Refn’s films do not glamorize or glorify violent masculinity the way many Hollywood films do, but rather they present it as something destructive and damaging to both the individual and those around him. Indeed, while nearly all of Refn’s films routinely punish individuals who conform to the stereotypical masculine ideal represented by the recurring masculine archetypes, the fallout of their actions frequently impacts other characters, including those who could be considered innocent. This indicates that these films do not celebrate the stoic, individualistic and violent masculine ideal represented by figures such as the gunslinger and the samurai, but rather they seek to trouble or challenge this narrow and rigid conception of male behavior. Ultimately, Valhalla Rising demonstrates that violent behavior results in ambiguous or definitively undesirable outcomes for the male characters that perform or idealize violent personae. This rhetoric connecting violence to negative or undesirable consequence represents a critique of media texts that offer violence as spectacle, rendering it palatable or acceptable for mass audiences. Furthermore, because the violence in Refn’s films serves to demythologize the violent behavior frequently performed by archetypal male figures, films like Valhalla Rising challenge the notion that male aggression represents a heroic or noble act. Thus, Refn’s films also serve to critique the notion of violence as heroic and a desirable means by which to solve problems. Indeed, films such as Valhalla Rising represent a critique of Hollywood’s propagation of and reliance on this particular masculine ideal via these cinematic masculine archetypes. While a cult film such as Valhalla Rising may not have the same sort of widespread appeal and recognition of other similar texts, it nevertheless illustrates and reinforces the overall need to determine and understand the rhetorical function of mediated violence. Both critics and scholars sometimes dismiss mediated violence as simply gratuitous and unjustified, thus dismissing any potential moral or sociocultural lessons such depictions of violent behavior might offer viewers (Bates & Garner, 2001). Indeed, even mass media that offer violence as a thrilling or entertaining spectacle, such as Hollywood blockbusters or male action cinema, often impart important lessons regarding the impact of male violence on both the individual and society (Sparks, 1996).Thus, rather than dismiss all violence as gratuitous or spectacle, scholars must strive to understand the context in which it appears (Fig. 11). Fig. 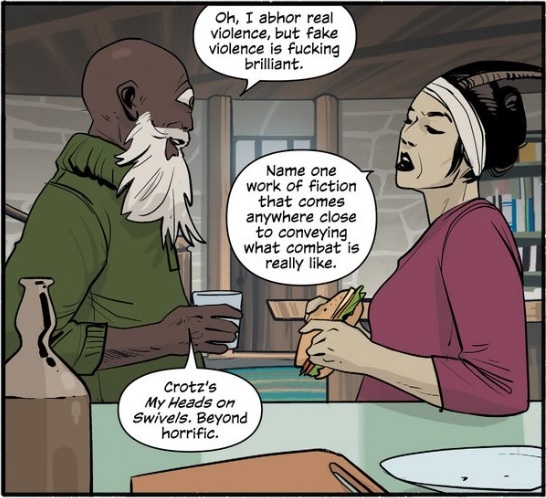 11: In this panel from Brian K. Vaughan and Fiona Staples’ comic book series Saga, two characters discuss the appeal of violence, both real and mediated. Although many texts include depictions of heroic male violence in order to thrill or excite the audience, others seek to contextualize the meaning and aesthetic concerns of violence in order to convey potential moral lessons to the viewer (Bates & Garner, 2001). A text could contain a contextualized message about violence that underscores or nuances the idea of violence as a heroic ideal. This possibility indicates that texts depicting violence should be critically appraised for their message or messages about violence. In other words, scholars should consider the depiction of violence in relation to the other possible messages offered by the text. Indeed, while the polysemous nature of contemporary postmodern texts allows for multiple meanings, a dominant reading or meaning often emerges based on the text’s rhetorical use of themes and motifs (Perks, 2010). This dominant meaning could be a moral lesson regarding the role of violence in society. Furthermore, while a text may have a dominant message, the audience can nevertheless opt to disagree with the value of this dominant reading if it does not resonate with their own particular schema or experience (Perks, 2010). This tendency to actively resist the dominant meaning of a text speaks to the need to contextualize the themes contained within media texts in order to uncover or determine whether a primary or dominant reading exists. Because audiences regularly demonstrate this type of polyvalent reception of a text, it becomes vital to examine and explore how viewers identify with or seek to emulate violent figures or characters, even when the text actively contextualizes them as “bad.” For instance, writing about the television series Breaking Bad, film critic Devin Faraci (2014) of the website Badass Digest observes that the show “isn’t pro-meth but, man, sometimes you get a real rush when Walter White pulls off a new villain move” (para. 6). Similarly, Fight Club positions Tyler Durden as the primary antagonist in the film by ultimately exposing his violent philosophy as destructive to both the narrator in particular and society in general, but many disenfranchised young male viewers position Durden as a role model and seek to align their masculine personae with his example (Nungesser, 2010). These examples illustrate that popular culture frequently idealizes male violence as heroic, and motivated audiences will sometimes choose to emulate violent villains or anti-heroes as a result. Thus, determining the contextualized rhetorical function of mediated violence can serve to challenge or deconstruct the idea that violent behavior connotes a heroic ideal. The text’s dominant message about violence needs to be determined so as to illustrate the undesirability of appropriating violent masculinity. Films like Valhalla Rising serve as examples of texts that present such dominant messages, providing an opportunity to consider the rhetorical function of screen violence primarily because of how they draw upon and incorporate recurring archetypal male figures in order to demythologize masculine violence. Refn’s characters often construct and present their own personae in relation to masculine archetypes and archetypal male figures like the gunslinger or the samurai, and their violence serves a very important contextual and rhetorical function within each film. In each case, the films demonstrate that the insistence on performing such violent masculine personae leads to undesirable consequences. This contextualization of violence has the effect of rendering the notion of male violence as ignoble and harmful rather than heroic and desirable. Thus, Valhalla Rising represents a potentially valuable text for considering how mediated violence could function as a critique of violent male behavior. The film consciously and overtly engages with themes of both violence and masculinity in order to illustrate what leads men to engage in specific masculine performances, and what happens when they refuse to disengage from such performances. Understood within the context of the narrative, each male character’s ultimate downfall could be seen as an example of how not to be a man. Badinter, E. (1992). Xy: On masculine identity. New York: Columbia University Press. Barrett, G. (1989). “Introduction.” Archetypes in Japanese film: the sociopolitical and religious significance of the principal heroes and heroines (13-21). Selinsgrove, PA: Susquehanna University Press. Bates, B. R., & Garner, T. (2001). Can you dig it? Audiences, archetypes, and John Shaft. The Howard Journal of Communications, 12(3), 137-157. Beasley, C. (2009). Male bodies at the edge of the world: Re-thinking hegemonic and ‘other’ masculinities in Australian cinema. In S. Fouz-Hernández (Ed. ), Mysterious Skin: Male Bodies in Contemporary Cinema (pp. 59-76). New York, NY: I. B. Taurus. Bellah, R. N. (1991). Beyond belief: Essays on religion in a post-traditional world. Berkeley: University of California Press. Calhoun, D. H. (2014). From Solitary Individualism to Post-Christian Stoic Existentialism: Quests for Community, Moral Agency, and Transcendance in the Films of Clint Eastwood. In R. T. McLelland & B. B. Clayton (Eds. ), The Philosophy of Clint Eastwood (pp 31-40). Lexington, Kentucky: The University Press of Kentucky. Cloud, D. L. (1992, December). The limits of interpretation: Ambivalence and the stereotype in Spenser for Hire. Critical Studies in Mass Communication, 9, 311-324. Coen, S. E., Oliffe, J. L., Johnson, J. L., & Kelly, M. T. Looking for Mr. PG: masculinities and men’s depression in a northern resource-based Canadian community. Health Place, 21, 94-101. Cohan, S. (1997). Masked men: Masculinity and the movies in the 1950s. Bloomington and Indianapolis: Indiana University Press. Connell, R. W. (2005). Globalization, imperialism, and masculinities. In M. S. Kimmel, J. Hearn & R. Connell (Eds. ), Handbook of Studies on Men and Masculinities (pp. 71-89). Thousand Oaks, California: SAGE Publications. Cowen, T. (2004). Creative destruction: How globalization is changing the world’s cultures. (pp. 73-101). Princeton, NJ: Princeton University Press. Feist, J., & Feist, G. J. (2001). Theories of personality (5th ed.). Boston: McGraw-Hill. Greenfield, B (1983, January). The Archetypal Masculine: Its Manifestation in Myth, and Its Significance for Women. Journal of Analytical Psychology, 28, 33-50. Horrocks, R. (1994). Masculinity in crisis. New York, NY: St. Martin’s Press. Jacobi, J. (1959). Complex, archetype, symbol in the psychology of C. G. Jung. New York: Pantheon Books. Jeffords, S. (1994). Hard bodies: Hollywood masculinity in the Reagan era. New Brunswick, New Jersey: Rutgers University Press. Jhally, S. (Director), Earp, J. (Writer), & Katz, J. (Writer) (1999). Tough guise: Violence, media & the crisis in masculinity [DVD]. Lehman, P. (1993). Running scared: masculinity and the representation of the male body. Philadelphia, PA: Temple University Press. Kaulingfreks, R., Lightfoot, G., & Letiche, H. (2009). The man in the black hat. Culture and Organization, 15(2), 151-165. Moss, M. H. (2011). The media and the models of masculinity. Lanham, Md. : Lexington Books. Neale, S. (1993). Masculinity as spectacle: Reflections on men and mainstream cinema. In S. Cohan & I. R. Hark (Eds. ), Screening the Male: Exploring Masculinities in Hollywood Cinema (pp. 9-20). New York, NY: Routledge. Novikova, I. et al. (2005). Men, masculinities, and “Europe”. In M. S. Kimmel, J. Hearn & R. Connell (Eds. ), Handbook of Studies on Men & Masculinities (pp. 141-162). Thousand Oaks, CA: SAGE Publications, Ltd.
Nungesser, V. (2010). Ways of reclaiming masculinity: Reactions to the ‘crisis of the white man’ in Paul Thomas Anderson’s Magnolia, Sam Mendes’ American Beauty and David Fincher’s Fight Club. In M. Gymnich, K. Ruhl & K. Scheunemann (Eds. ), Gendered (Re)visions: Constructions of gender in audiovisual media (pp. 45-58). Goettingen, Germany: V&R Unipress GmbH. Pecora, N. (1992). Superman/Superboys/Supermen: The Comic Book Hero as Socializing Agent. In S. Craig (Ed. ), Men, Masculinity, and the Media (p. 61-77). Newbury Park, California: Sage Publications. Perks, L. G. (2010, June). Polysemic Scaffolding: Explicating Discursive Clashes in Chappelle’s Show. Communication, Culture & Critique, 3, 270-289. Preston, T. M. (2003). The Stoic Samurai. Asian Philosophy, 13, 39-52. Robbins, B. (2014, June). The pragmatic modernist: William Faulkner’s craft and Hollywood’s networks of production. Journal of Screenwriting, 5, 239-257. Sparks, R. (1996). Masculinity and heroism in the Hollywood ‘blockbuster’: The Culture Industry and Contemporary Images of Crime and Law Enforcement. British Journal of Criminology, 36, 348-360. Stevens, A. (2006). “The archetypes.” In R. Papadopoulos (Ed. ), The Handbook of Jungian Psychology. New York, NY: Routledge. White, M. (2011). From Jim Crow to Jay-Z: Race, rap, and the performance of masculinity. Urbana: University of Illinois Press. Wiegmann, M. (June, 2004). Re-visioning the spider woman archetype in Kiss of the Spider Woman. Journal of Analytical Psychology, 49, 397-412. Apatow, J. 2007. Knocked Up. Baron, A. 1961. Blast of Silence. Cardiff, J. 1964. The Long Ships. Carpenter, J. 1988. They Live. Coen, J. & Coen, E. 2007. No Country for Old Men. Corbucci, C. 1968. The Great Silence. Cosmatos, G. P. 1993. Tombstone. des Pallières, A. 2013. Age of Uprising: The Legend of Michael Kohlhaas. Eastwood, C. 1973. High Plains Drifter. Evans, G. 2011. The Raid: Redemption. Favreau, J. 2008. Iron Man. Ford, J. 1956. The Searchers. Gans, C. 2001. Brotherhood of the Wolf. Gilroy, T. 2012. The Bourne Legacy. Hawks, H. 1948. Red River. Huston, J. 1941. The Maltese Falcon. Kurosawa, A. 1954. Seven Samurai. Leone, S. 1968. Once Upon a Time in the West. Leone, S. 1966. The Good, the Bad, and the Ugly. Leone, S. 1965. For a Few Dollars More. Leone, S. 1964. A Fistful of Dollars. Lester, M. L. 1985. Commando. MacDonald, P. 1988. Rambo III. McTiernan, J. 1999. The 13th Warrior. McTiernan, J. 1988. Die Hard. Miike, T. 2007. Sukiyaki Western Django. Miller, G. 1981. The Road Warrior. Okamoto, K. 1966. The Sword of Doom. Ozawa, S. 1974. The Street Fighter. Phillips, T. 2009. The Hangover. Refn, N. W. 2009. Valhalla Rising. Refn, N. W. 1999. Bleeder. Russell, D. O. 2013. American Hustle. Stallone, S. 2010. The Expendables. Tarantino, Q. 1994. Pulp Fiction. Winner, M. 1974. Death Wish. Yuen, C. 2002. The Transporter. Next Next post: I successfully defended my thesis!